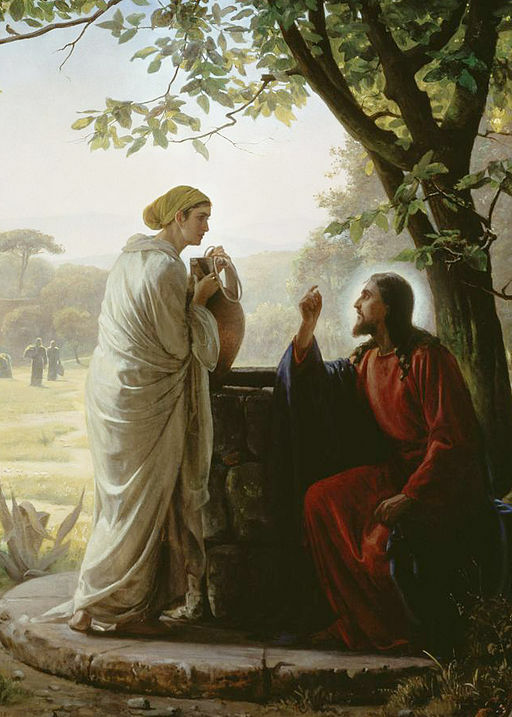 The Church, interpreting the symbolism of biblical language in an authentic way, in the light of the New Testament and Tradition, teaches that our first parents, Adam and Eve, were constituted in an original “state of holiness and justice.” This grace of original holiness was “to share in. . .divine life” (CCC 375). Dr. Ludwigg Ott, in his well regarded and classic work, Fundamentals of Catholic Dogma, states that it is a De Fide proposition [of our Catholic faith] that “Our first parents, before the Fall, were endowed with sanctifying grace,” (p.103) “not merely for himself [Adam], but for all of us” (p. 105, Sent. certa.). “It was to have been expected beforehand, that God would have created [the first man] in a state of perfect nature. It is a surprise that it is not so. On the very threshold of theology, we are arrested by this mysterious fact, that rational creatures came from their Creator’s hands in a supernatural state….This one fact seems to us the great fact of the whole of theology….” (The Creator and the Creature, p.43). So what happened to Adam and Eve in the garden? What caused them to trust more in the serpent than in God? Simply this: they forgot that God was near; they forgot to turn to God – their only help – for help. And when they realized what they had done, and how they had sinned, they tried to hide from God. This forgetfulness of God is what caused the need for our redemption. One of the Church’s greatest mystics, Saint Teresa of Avila, says that “ALL HARM COMES TO US WHEN WE FAIL TO REALIZE THAT GOD IS NEAR.” This is one of those great spiritual principles that can be so helpful to us. We are like Adam and Eve: we have forgotten that God is near, so “unspeakably near,” as Father Faber says. When we panic, when we cower in fear, when we seek refuge in the world, when we consent to sin, what has happened? : – yes, it is regrettably true, we have forgotten that God is “closer to us than we are to ourselves,” especially because we have been constituted by our baptism in a life of sanctifying grace – in a shared life of intimate fellowship with God. How was it that Saint Maximilian Kolbe could volunteer to enter into a starvation bunker in a German Concentration camp? Only because he knew God would be with him. We must become, as Faber says, more and more conscious of the presence of God. Do you pass the test put forth by Saint Paul in 2 Corinthians? Do you realize that Jesus Christ lives within you (see 2 Cor. 13:5)? In our Catholic tradition there is a very helpful book by Brother Lawrence called The Practice of the Presence of God. We can practice being more open to the presence of God in our lives (see, for example, Susan Muto’s and Father van Kaam’s book, Practicing The Prayer of Presence). “The interior life is precisely an elevation and a transformation of the intimate conversation that everyone has with himself as soon as it tends to become a conversation with God. *** The interior life thus becomes more and more a conversation with God, in which man gradually frees himself from egoism, self-love, sensuality, and pride, and in which, by frequent prayer, he asks the Lord for the ever new graces that he needs.” (The Three Ages of the Interior Life, Vol. 1, pages 43-45). It is a “day to be remembered,” the day when we came to more fully comprehend in faith (“working in love”) that God truly dwells within us in our baptized and sanctified souls – in the very center of our be-ing (see CCC 260)! We were made for God. Note: The inspiration for this note comes from Father Faber’s brilliant book, The Creator and the Creature, especially pages 37-44. CCC 374 establishes that “the glory of the new creation in Christ” surpassed the grace of original holiness Adam and Eve were constituted in, which may be why the precise term, sanctifying grace, is not used in CCC 375. According to Dr. Ludwig Ott in Fundamentals of Catholic Dogma, at page 103, “Saint Thomas [Aquinas] and his school are of the opinion that the first men were created in the state of sanctifying grace,” but other theologians in the Franciscan school felt it was a gift given sometime before the fall, which is why The Council of Trent, and the CCC following Trent, use the word “constituted” rather than “created”; see CCC 375. Father Faber obviously follows the lead of Saint Thomas. Dr Ott adds at page 103 that “Saint Thomas’ teaching is that of the Fathers.” In any event, it is De Fide that the grace of a supernatural holiness was given to Adam and Eve either at the moment they were created (Saint Thomas) or prior to the encounter with the serpent in the garden. Father Faber refers to the “Infinitely Blessed Life” of God in The Creator and the Creature.